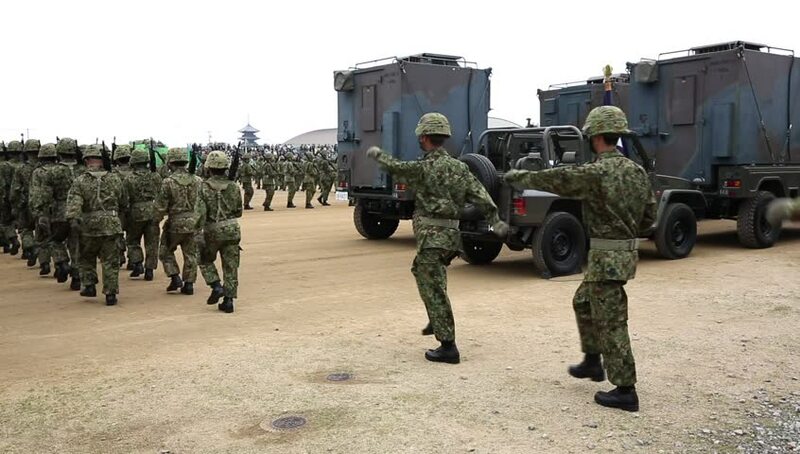 hd00:20KAGAWA, JAPAN - APRIL 29, 2014 : The celebration day of military base was made in Kagawa Prefecture. Soldiers marches for a parade of military. Apr 29, 2014 in Kagawa, Japan. 4k00:17Minnesota, The United States of America - February ?22, ?2019: Soldier driving a truck with an anti aircraft device on it. hd00:21Motorcycles at a rally in south Texas. Low angle with bikes and riders passing as they ride forwards from the entrance gate.